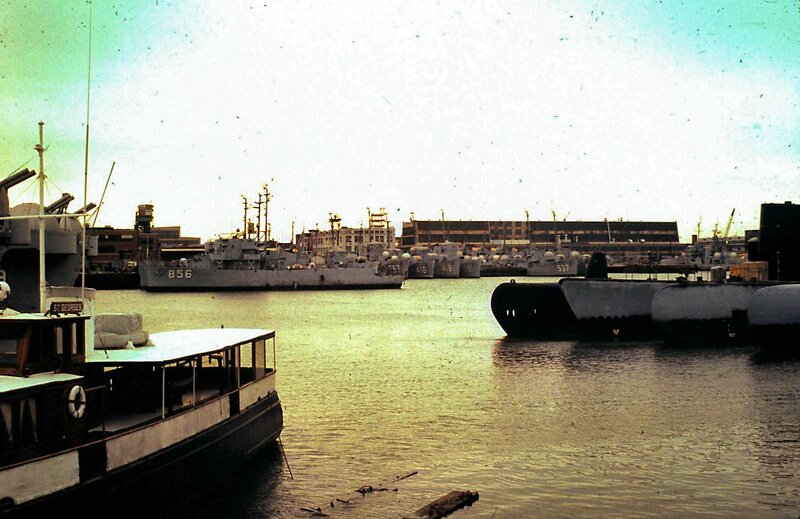 01 April 1943: Keel laid by the Tampa Shipbuilding Co., Tampa, Fla.
30 April 1946: Decommissioned at Green Cove Springs, Fla.
287k Winter 1972 - Spring 1973: Philadelphia, Pa. - A closer view from the corner of Intrepid Ave. and S. 16th St. Again we see Oswald, Melvin R. Nawman (DE 416), Tabberer (DE 418), and Coffman (DE 191). In this view we also see an unidentified decommissioned AGSS and Raymond (DE 341). 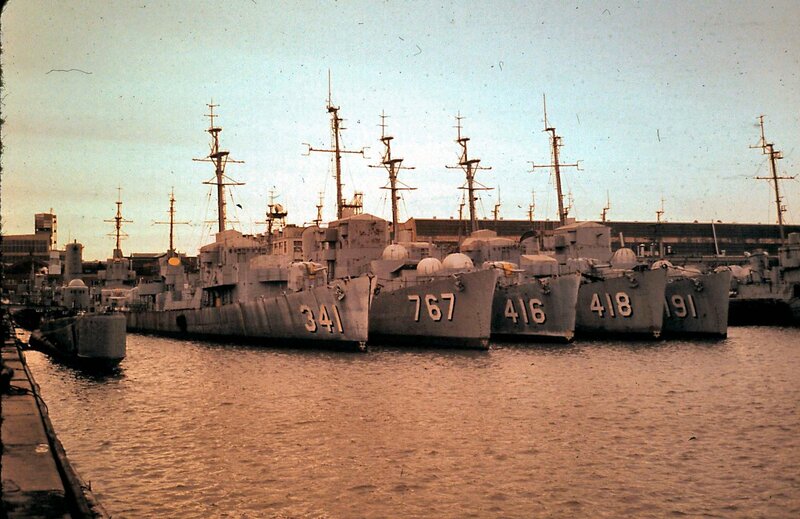 View the USS Oswald (DE 767) DANFS history entry located on the Naval History and Heritage Command web site.